This Australian Natural Gold Nugget from Western Australia is super nice. It is a very high grade jewelry/investment grade raw gold nugget. 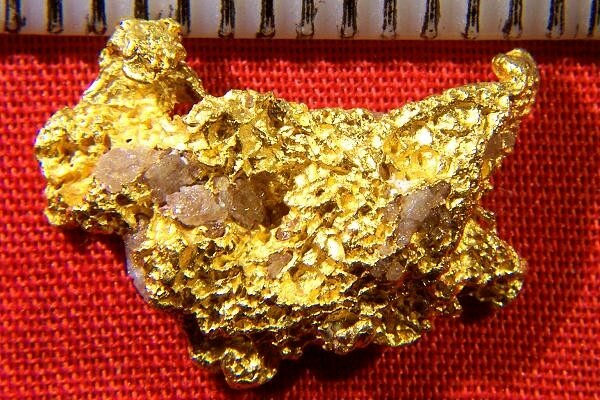 The gold in this incredible gold nugget specimen is very pure at 92% to 98% pure (22KT to 23KT). The weight is a nice 5.0 Grams (77.1 Grains) and it measures 3/4" (19 mm) long. It has fantastic color and texture and a little bit of white quartz inclusions. 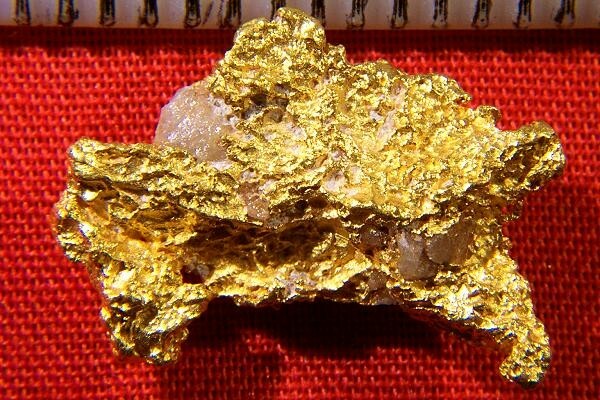 A really beautiful hand selected natural raw gold specimen.